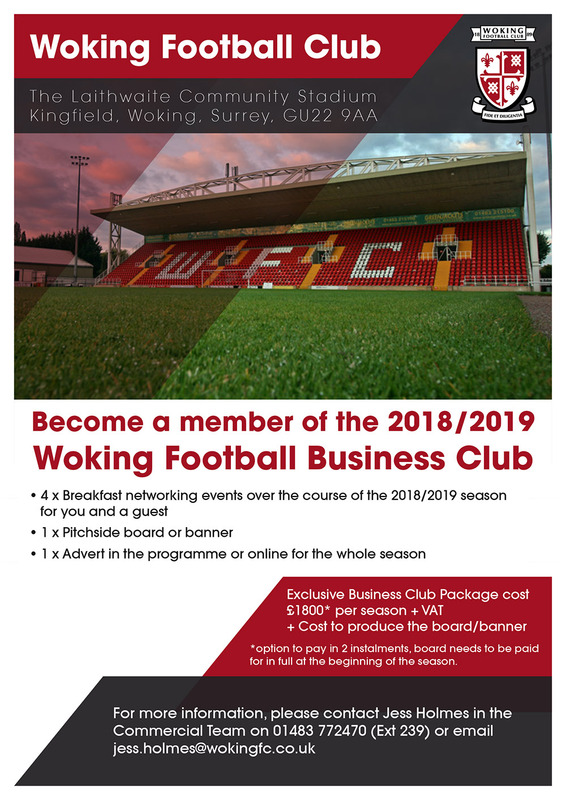 Becoming a member of the 2018/19 Woking Football Business Club! Exclusive Business Club Package cost - £1800* per season + VAT (+ cost to produce the board/banner). * option to pay in 2 instalments, board/banner needs to be paid for in full at the beginning of the season.